Online retail is a desirable job market. And whether you want to assist in someone’s business or start one of your own, a few character traits and personalities thrive in the industry. The good news is people can change their professional and personal attributes to adjust to a new job or career. With that in mind, please know, ecommerce is made for self-starters. Being a self-starter has a few connotations, some of which seem dominant, independent, and rigid. That’s not the case in ecommerce and traits that accompany self-starters in the digital commerce world are actually some of the more intuitive traits in any job market. For those who have these traits, ecommerce will be a wonderful fit for them personally and professionally. 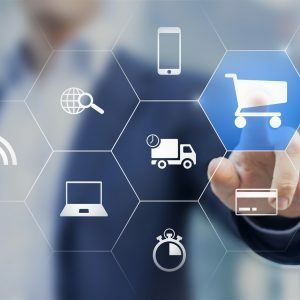 What is an ecommerce business? Per Shopify’s definition, ecommerce is the sale of products over the Internet in exchange for digitally transferred currency. Because of this, many ecommerce sites employ remote staff rather than invite everyone into the office. This is a freedom many would love to have. It does, however, put a bit more responsibility on the individual. As a self-starter in the ecommerce industry, you do not have a boss looking over your shoulder. Rather, you are the one who must motivate yourself to push harder, work smarter and grow your business. It helps some newbie employees to have someone else guide them and keep them on track to meet deadlines and plan new projects. If that is something you enjoy, ecommerce might be a challenge. Wise ecommerce operators establish lasting connections with others in the industry. Why? To drive constant learning, of course. If you are a self-starter, it’s up to you to find experts and learn from them. This is especially helpful for industry newbies, just looking to cut their teeth in online retail. Operating digital stores is much different than traditional shops. Knowing your contemporaries can help keep you on the cusp of what is new and profitable, rather than left in the dark. Down the line, it also opens the door to collaborations and mergers, both of which can be incredibly profitable. Meeting others on ecommerce platform forums like those found on Shopify and other sites is a great place to start. Attending conferences focused on ecommerce and small business has advantages too. The goal for any self-starter should be to build a platform upon which you can grow. That means having a plan in place that can be regularly updated to match an evolving market. Your plan should contain a clear statement of your goals, your strengths—and your weaknesses. Similarly, staying organized with your schedule, meetings, and resources can save you a lot of stress when you get a bit backed up by the inevitable problems that come up in any business environment. If you can’t keep your own scheduling straight, how will you ever run a successful ecommerce business? With these tips in mind, you can assess yourself to see if you embody the self-starter mentality that thrives in ecommerce. Unlike other businesses, a particular personality seems to work best in this industry. If you see yourself in the descriptions above, you are probably exactly where you should be. With the right attitude, the freedom and mobility of ecommerce can become the most fulfilling and lucrative career you could imagine. Previous Article Previous post: What Is Patch Management And Why Is It Important?